The eerily similar root causes of\r\n Chennai and Mumbai floodsChennai officials have feared a severe\r\n flood for over a decade. Why didn\'t they act? Chennai has received over 300 mm rainfall in the last few days, enough to fill up a one-foot tall bucket kept in the open. That is a lot for Chennai -- it is three-quarters of its average rainfall for the entire monsoon. The government says the excess rainfall is once-in-a-century event. But are we to only blame the gods? Or global warming, or El Nino? After all, if it rained this much in Chennai 100 years ago, why haven't we heard of a similar disaster from then? There's something wrong about the way the city has developed since, and activists have been saying this for years. For Chennai, the principal argument is this: while you can't predict such heavy rainfall, #ChennaiFloods are actually a consequence of ignoring natural drains and lakes, by building over them or turning them into landfills. Even the government's top weatherman Laxman Singh Rathore knows this. Speaking on 2 December, the head of the Indian Meteorological Department said the exceptionally high rainfall alone isn't to be blamed. He said that the real reason for flooding is that there is no space for the water to drain out. Indeed, there is a sad irony to the Chennai deluge -- it happened in a city next to the Bay of Bengal. All the water should have simply drained into the sea, like it has for centuries. And this isn't just about storm water drainage. Chennai has actively blocked its network of lakes, rivers, canals, wetlands and marshlands that absorb rainwater or divert it to the sea. Colonies, malls, universities and IT offices have been built over them. Where will the water go? 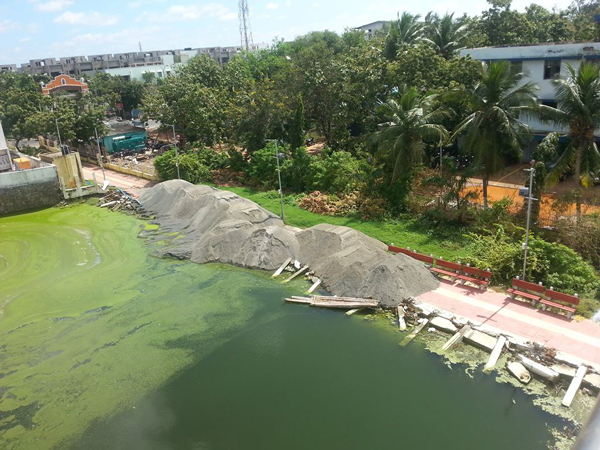 Here's one example: soon after the November floods, Chennai-based journalist and activist Nityanand Jayaraman posted this picture of a pond in the city that has now become a dumping ground for fly ash. The water "may have entered other people's houses if this pond hadn't been there" Jayaraman wrote. The city's water authority plans to convert it into a closed two-story water tank. Will it learn any lessons now? After the last floods, another major encroachment that got exposed was the Ennore creek. It seems that parts of the 400-acre water body were being reclaimed by Kamaraj Ports, while other parts were used to dump waste. Besides ruining its natural drains, Chennai has done nothing to build effective storm water drains. The drains are built without even considering basic factors like slopes, proximity to other water bodies or roads. All this isn't news. When Chennai was first flooded a month ago, it rang alarm bells even in faraway Mumbai, another coastal metro with heavy rainfall and rampant real estate growth. Hearing a petition, the Bombay High Court on 27 November told city officials to specifically protect mangroves and wetlands to prevent a Chennai-like disaster. The government's reply was just frightening -- it reportedly confessed to the court that it didn't even have a proper map of such water bodies in the city. The same has been the case in Chennai. After a major flood in 2005, officials decided to make terrain maps of the city using high-tech lasers from a helicopter. The project has still not taken off. There is also no early warning system, even though this has been developed. Experts say that the root cause of frequent floods is that urban planning in India has never seriously taken water flow into account, especially natural water bodies like lakes and streams. "This not only deprives the city of having its own water resources, it creates disasters like the one in Chennai," said Himanshu Thakkar of the South Asian Network for Dams, Rivers, and People. According to Thakkar, there are many parallels between Chennai and Mumbai, where floods are now an annual affair. "Chennai has destroyed its water bodies the same way Mumbai has. 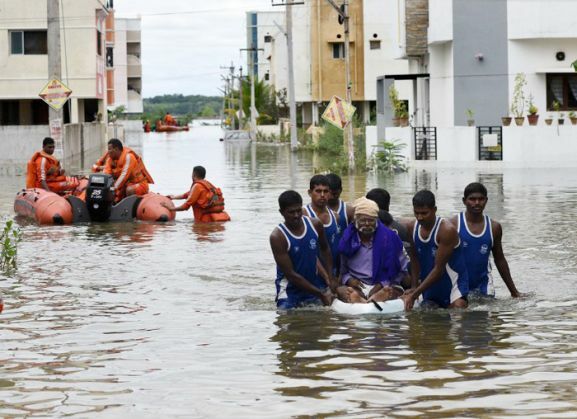 Now Mumbai's disaster from a decade ago is repeating in Chennai," he said, referring to the 2005 deluge in Mumbai where over 1,000 lives were lost. 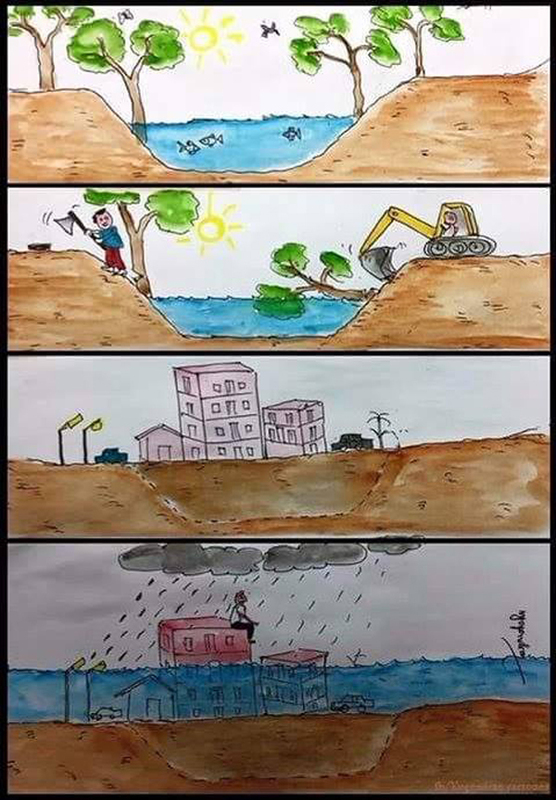 Postscript: After the floods in November, this sketch made by a Chennai student was circulated on Facebook. The last image is a tragically accurate prediction of what you've seen on TV since yesterday.